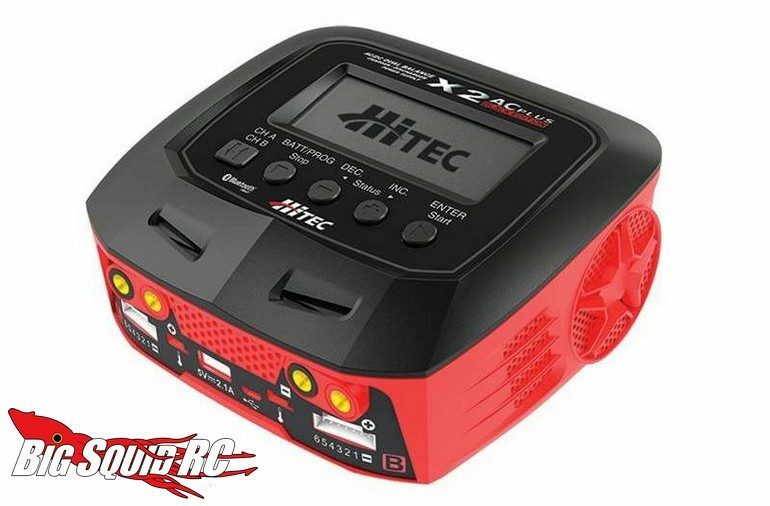 Hitec X2 AC Plus Black Edition Dual Charger « Big Squid RC – RC Car and Truck News, Reviews, Videos, and More! With newly increased capability and capacity, the Hitec X2 AC Plus Black Edition is headed soon to a hobby shop near you. The Hitec is an AC/DC unit that can be used just about anywhere. For power it sports a charge rate of up to 10 amps per channel and it can handle up to a 6S LiPo cell count. A built in 10 amp power supply makes it easy to charge off AC power, while its dual channels can make short work out of charging a big stack of batteries. The part number for the black edition charger is #44270 and you can get full details over on Hitec’s Website. Hit up This Link to read about more Hitec products on BigSquidRC.